In the past cartoons used to be lettered by hand. Hardly anyone does this today. The reason is, because hardly anyone has nice handwriting these days, so there are practical advantages in having a special font. However the font should still look like it’s been written by hand. Well, most script fonts don’t meet this requirement. 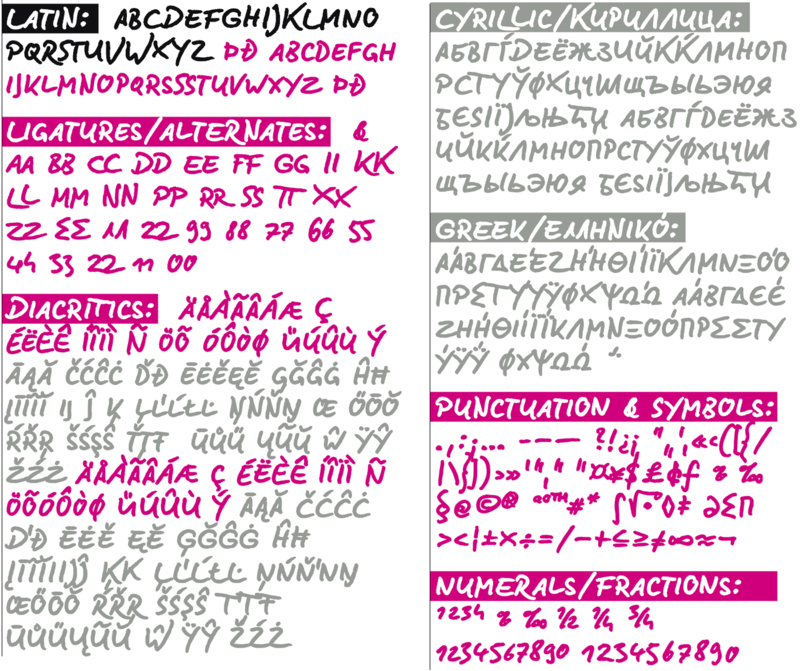 The BD Lettering is a computer font, but closely resembles genuine handwriting. The model for the BD Lettering is my personal handwriting, as can be seen on the example of the Biró Script, which is also an ingoFont. The habit of capitalization comes from the Romanic and Anglo-Saxon countries. 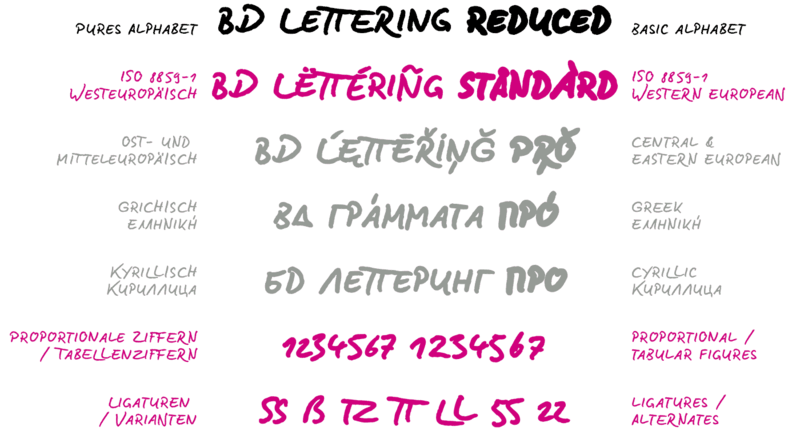 The characters of the BD Lettering are based on the Biró Script. Depending on the purpose they are designed in three significantly thicker line widths. In order for the typeface to actually look handwritten, it needs to have clearly visible irregularities. These are not found only in the shapes of the individual letters. Even though BD Lettering is all in capital letters, the characters of uppercase and lowercase letters are clearly different. Additionally, many alternative shapes are used, which are automatically applied when the OpenType “Ligatures” feature is activated. Thus, there are no identical double letters or numerals, and many character combinations are defined as ligatures with alternative forms. 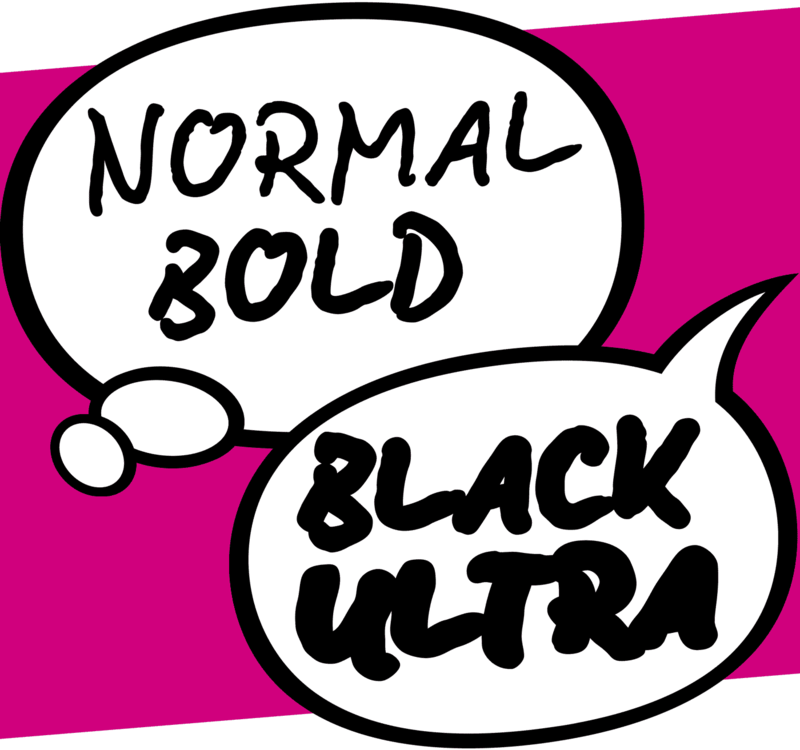 By the way—the name of this font is a tribute to the Belgian and French comics, which are referred to there as “bande dessinée”, in short “bédé” or even the abbreviation BD.